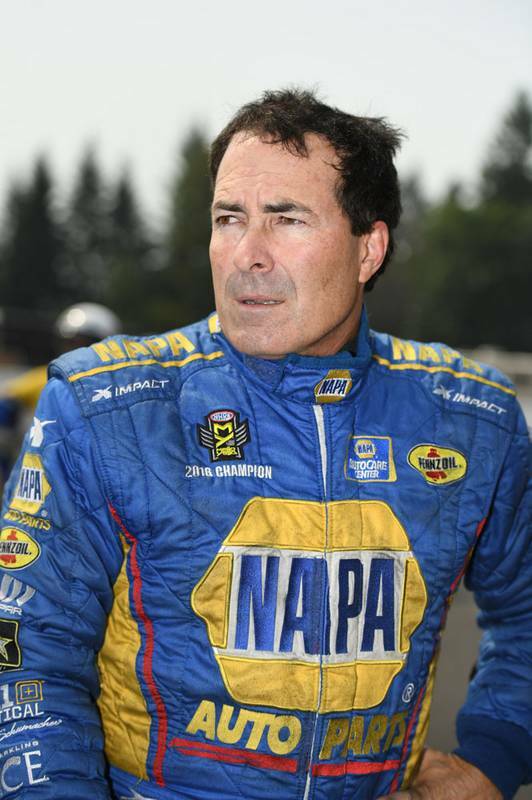 Ron Capps and the NAPA AUTO PARTS Dodge Charger R/T Funny Car team advanced to the second round of eliminations Sunday in the NHRA Northwest Nationals at Pacific Raceways near Seattle and maintain their big points lead while crew chief Rahn Tobler continues to fine tune the clutch system. 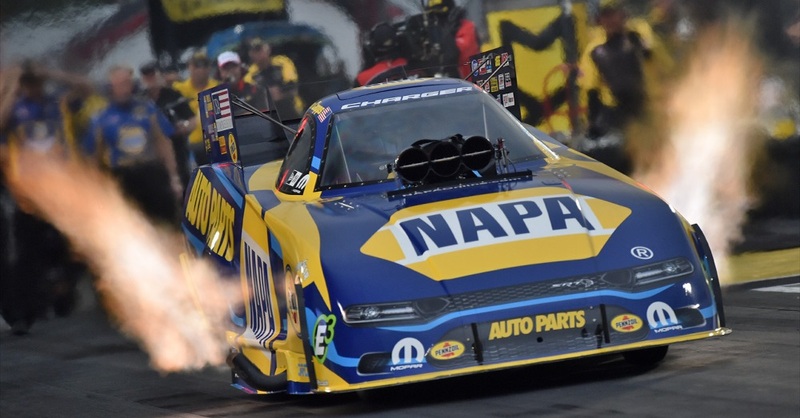 Don’t misunderstand Capps when he says NAPA AUTO PARTS crew chief Tobler has been experimenting a little over the past few weeks during the Western Swing on the NHRA Mello Yello Drag Racing Series tour. 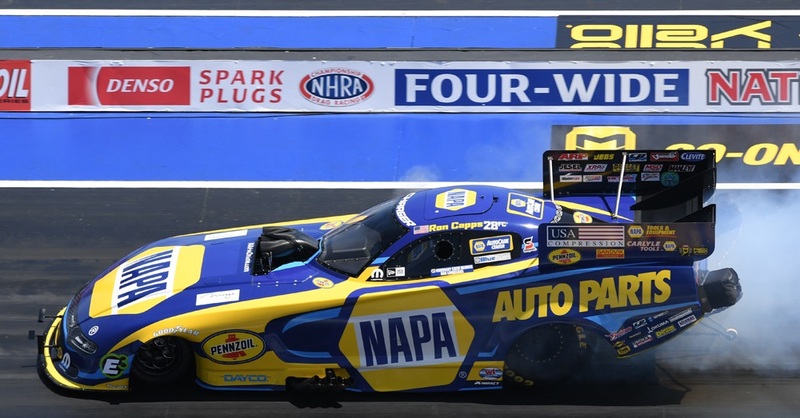 With the regular season title almost locked up with two events left, Tobler and assistant Eric Lane have been looking toward being ready for the six-race Countdown to the Championship playoff that begins at Charlotte after the U.S. Nationals over Labor Day Weekend near Indianapolis. 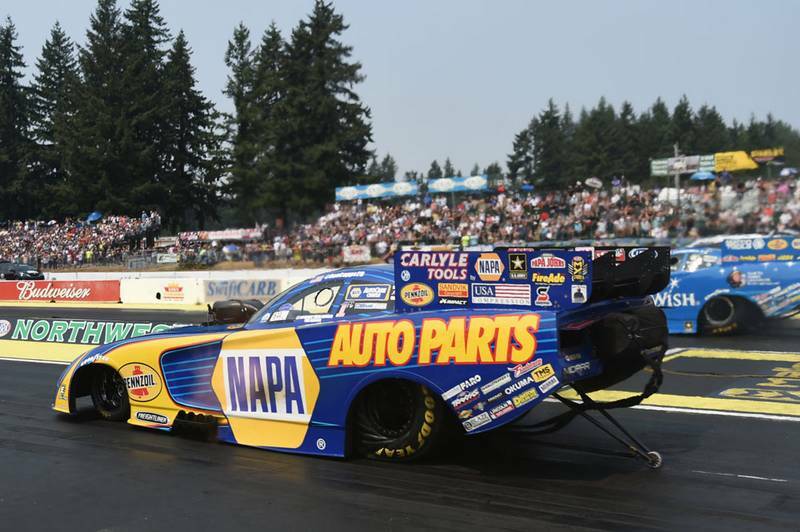 Capps advanced to the second round Sunday in the NHRA Northwest Nationals at Pacific Raceways near Seattle, but it was his only win in eliminations during the three-race Western Swing. 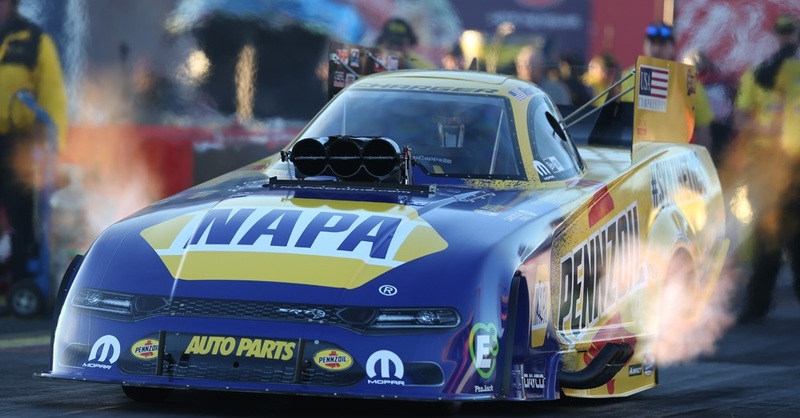 A similar plan turned out pretty good a year ago when Capps and the NAPA AUTO PARTS Dodge Charger R/T Funny Car Powered by Pennzoil ending the regular season ranked No. 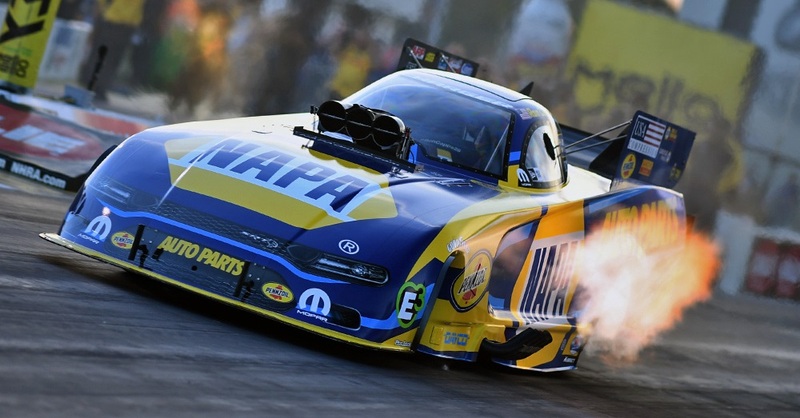 1 and went on to win the NHRA championship even though it did not win an event title in the playoff. 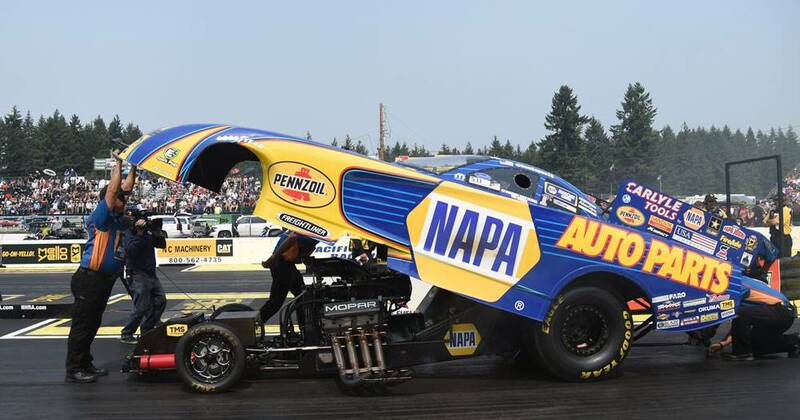 Capps said Tobler has been focusing on his Dodge’s clutch system. 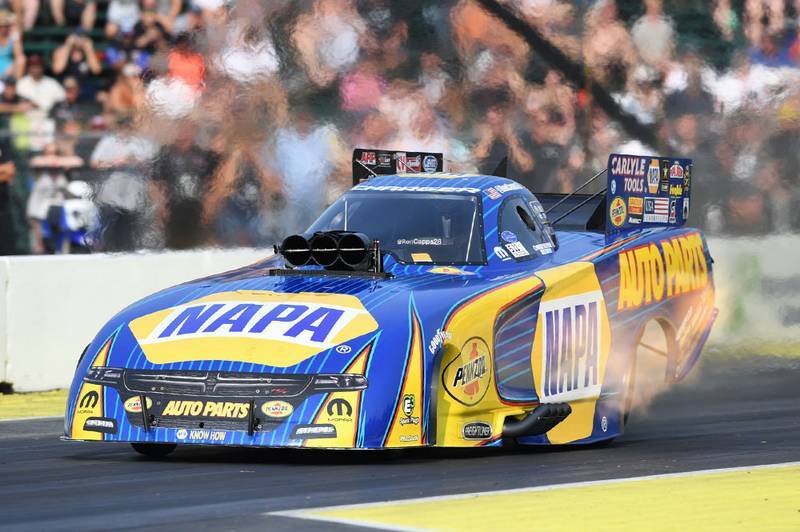 Capps’ lead over No. 2 Matt Hagan, one of his DSR teammates, is 158 points. Start / Finish: Qualified No. 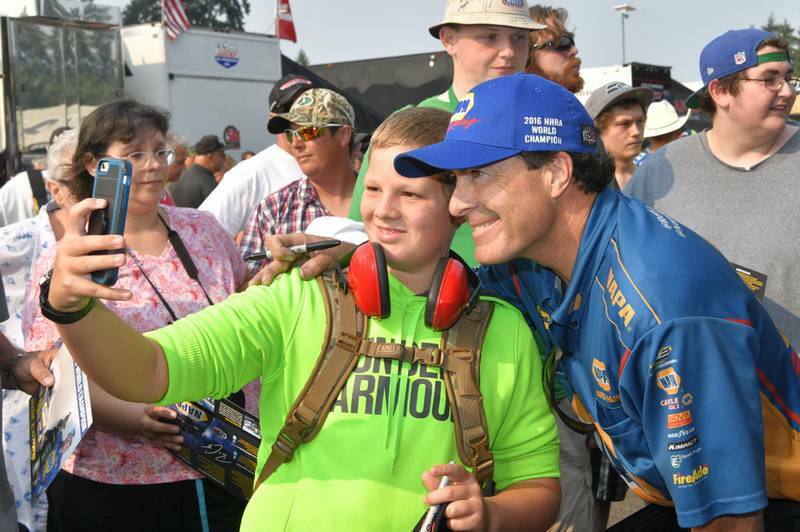 6 / Lost in second round to DSR teammate Tommy Johnson Jr.
Next Race: Aug. 18-20, Brainerd, Minn.